Located a mile away from Civic Center Plaza, St. Joseph Catholic School offers a variety of programs to equip and empower its students, including struggling readers. Dr. Brad Snyder, the school principal, spent the last few years researching about dyslexia. He put research into practice by having teachers in grades K-2 and 5 trained in Orton- Gillingham methodologies and strategies to help all students read better. St. Joseph School earned highly effective marks in Instructional Methodology to Support High Achievement of All Students and in Support for Student Spiritual, Personal and Academic Growth on its WCEA WASC accreditation. To enhance and deepen student learning experience, St. Joseph School uses Chromebooks in grades TK – 2 and a one-to-one technology program from grades 3-8. This is done so that each student can access the curriculum each day to meet their needs under direct instruction of the teacher. Alexandra Lugo, ‘14 is one of St. Joseph School graduates who embody the values of St. Joseph School. She shared her educational journey at the 2019 Conference of Business and Ethics Bishop’s Reception in January. The CBE has become the premier event in Orange County, where a faith-based community of influential business, religious, academic, and philanthropic leaders can gather, knowing that they share a common commitment to ethical best practices in their daily lives. Award-winning actor Neal McDonough will be speaking at the conference and recording artist Matt Maher will be sharing his musical gifts with the audience. In addition to reading and technology integration, one of the learning experiences available to St. Joseph students is CLASS ACT. CLASS ACT is a program that brings a musician from the Pacific Symphony Orchestra to teach lessons about music and a featured composer of the year. The program culminates with grades 2-8 attending a concert at the Segerstrom Performing Arts Center. America’s system of education was built for an economy and a society that no longer exists. In the manufacturing and agrarian economies that existed 50 years ago, it was enough to master the “Three Rs” (reading, writing, and arithmetic). In the modern “flat world,” the “Three Rs” simply aren’t enough. If today’s students want to compete in this global society, they must also be proficient communicators, creators, critical thinkers, and collaborators (the “Four Cs”). St Columban School recognizes that the needs of students have changed and embraces the call to equip the students for their future. The school’s integrated technology revolutionizes the learning process. Teachers now guide and facilitate while students take the responsibility for their learning outcomes. Students benefit from a technology-infused education with a 1:1 iPad program in grades 3-8 and a cart of iPads and a cart of Chromebooks to be used with the lower grades. Thinkers like Tony Wagner, Sir Ken Robinson, and George Couros inspire St. Columban School to revise its Student Learning Expectations to include: being able to formulate good questions, being imaginative and adaptable, and being entrepreneurial. The school’s Makerspace area allows students to get hands-on experience with engineering, robotics, and other creative project. All students in Transitional Kindergarten through eighth grade go weekly to makerspace and get first-hand experience with design thinking. Innovation in school and the workspace requires connecting and remixing content from all subjects, including the arts, to find new solutions. The space also includes a green screen and computers for creating videos and other digital projects. Engineering design process is one of the school’s focal points. Students learn to be comfortable with the iterative process and to understand there is always room for a new, improved version and new ideas. It also means breaking down subject silos. In 7th and 8th grade students work through an intensive engineering design process that applies advanced math and science skills to a yearlong engineering class. Alongside vibrant academics programming available at the school, students go through their day in an environment that allows them to build a relationship with God and model Christ-like behaviors. Students in preschool to second grade learn about the Catholic faith through the Catechesis of the Good Shepherd, a Montessori-based catechetical program. The school has two sacred spaces that have been prepared for children to have a hands-on experience for faith formation, rooted in the Bible, Liturgy of the Church, and the educational principles of Maria Montessori. Additionally, the school provides students with active social justice programs to help students live out Gospel values. For example, students care for the community garden and the vegetables grown at the garden become gifts to the local homeless community. St. Columban students and families also walked in Concern America’s Walk Out of Poverty, raising over $11,000 for those in need. St. Columban School is accredited by the Western Catholic Educational Association (WCEA) and by the Western Association of Schools and Colleges (WASC). The school has a strong history in the Garden Grove community and serves a multi-cultural student body. 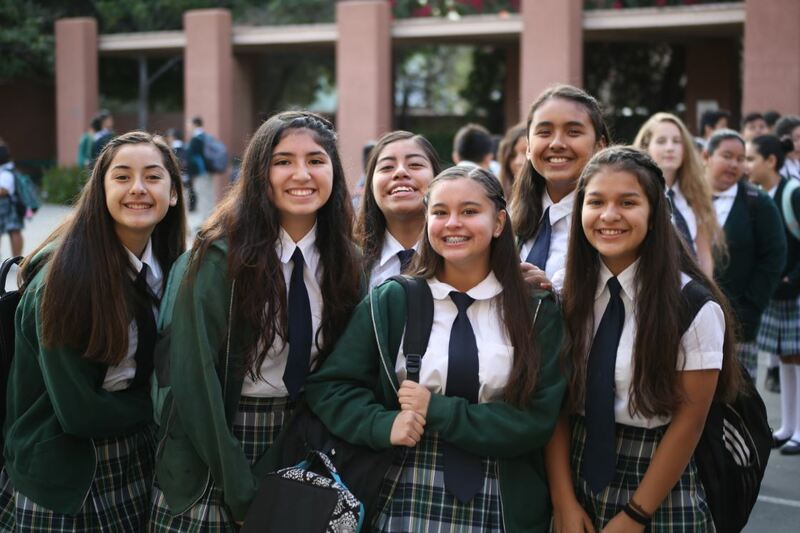 To learn more about admissions for fall 2019, please visit please visit www.saintcolumbanschool.com or call the school office at (714) 534-3947. Established in 1963, St. Barbara Catholic School provides a comprehensive education enabling the intellectual, spiritual and moral development of students. The original parishioners built a school and church where tomato fields once stood. 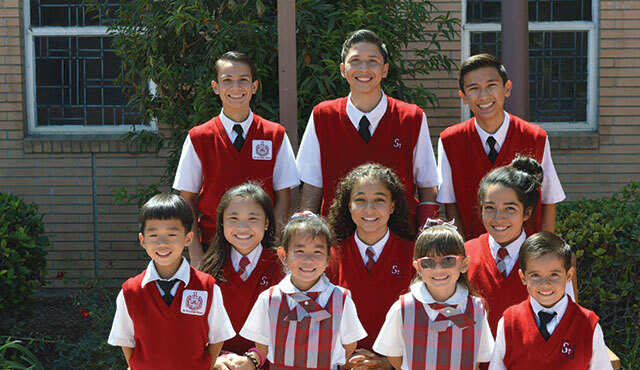 St. Barbara Catholic School has served as the academic anchor in the surrounding communities of Garden Grove, Santa Ana, Fountain Valley and Huntington Beach. St. Barbara Catholic Church serves over 4,000 families and a school of more than 500 students. The school has a staff of principal, 15 lay teachers and four office staff. During the 1990s, St. Barbara Catholic Church was blessed with Catholic Vietnamese immigrants. The school addressed the expansion of religious education programs to accommodate the growth of increased student enrollment. The school was blessed with a $2.1 million facility improvements included a parking lot and school playground redesign along with a new school building housing two kindergartens, a multimedia center, a fine arts classroom, a teacher workroom and a physical education and athletics room. In addition, the school implemented a 1:1 technology program to increase student achievement and engagement by having students in grades 1 to 3 use iPads in the classroom and students in grades 4 to 8 use Chromebooks. Faith formation and community service is highly important to the community of learners at St. Barbara School. The school community prays together, celebrate Mass regularly, receive the sacraments of Reconciliation and First Holy Communion and participate in daily religion instruction. In addition, students participate in service projects allowing us to support a number of organizations in our local communities by raising funds for Pennies from Heaven, Operation Rice Bowl and hold drives for pajamas and canned foods. On October 10, from 6 p.m. -8 p.m., St. Barbara School and Mater Dei High School are co-hosting an evening program for the Vietnamese community at St. Barbara School Gym. Theresa Nguyen, Executive VP of Quoc Viet Foods Foods and parishioner at St. Barbara Church, Fr. Kiet Ta, Rector / Chaplain of Mater Dei, and Mater Dei’s Principal, Ms. Frances Clare will be sharing stories about Catholic education in their lives. The event will be conducted in English and Vietnamese. To learn more about St. Barbara School or the event, please call the school office at (714) 775-9477. 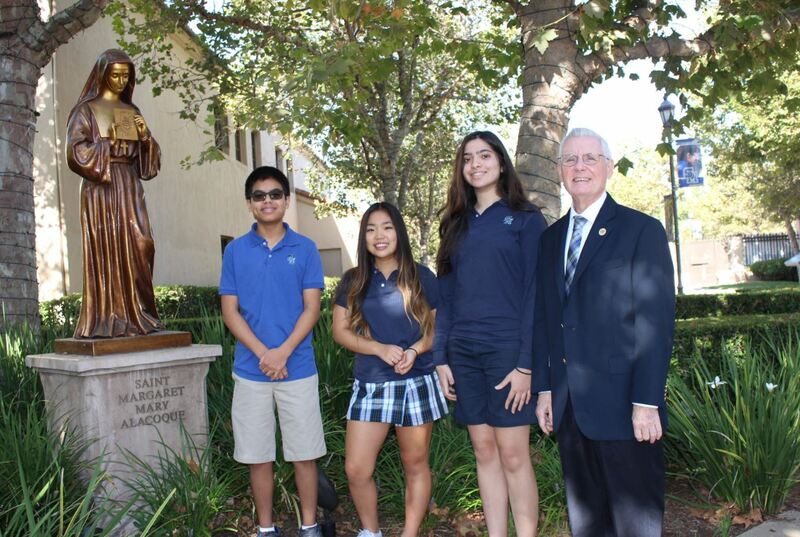 Santa Margarita Catholic High School seniors Samuel Wang of Coto de Caza, Halie Kang of Ladera Ranch and Sonali Madisetti of Coto de Caza were named semifinalists in the 64th annual National Merit Scholarship Program. This honor is earned by less than one percent of U.S. high school seniors. These academically-talented high school seniors are three of approximately 16,000 students nationwide that will have an opportunity to continue in the competition for some 7,500 National Merit scholarships worth more than $31 million that will be offered next spring. To be considered for a merit scholarship award, semifinalists must fulfill several requirements to advance to the finalist level of the competition. Over 90 percent of the semifinalists are expected to attain finalist standing, and about half of the finalists will win a National Merit Scholarship, earning the merit scholar title. Over 1.6 million juniors in more than 22,000 high schools entered the 2019 National Merit Scholarship Program by taking the 2017 Preliminary SAT/National Merit Scholarship Qualifying Test (PSAT/NMSQT), which served as an initial screen of program entrants. The nationwide pool of semifinalists includes the highest scoring entrants in each state. The number of semifinalists in a state is proportional to the state’s percentage of the national total of graduating seniors. Photo: (left to right) Samuel Wang of Coto de Caza, Halie Kang of Ladera Ranch and Sonali Madisetti of Coto de Caza with Santa Margarita Catholic High School Principal Mr. Raymond Dunne. St. Norbert Catholic School unveiled faith as its Virtues in Practice program for August and September 2018. Virtues in Practice is a program for children in grades Pre-K to eighth grade to grow closer to Jesus by imitating his life and virtues. It is set up in such a way that the whole school community studies the same virtue each month. The program covers 27 virtues over a three-year cycle, with 81 saints held up as models of the virtues. In collaboration with St. Norbert Church families have complimentary access to FORMED, with Catholic faith materials such as videos, audio talks, books, and study series. In addition to Virtues in Practice and FORMED, fathers at St. Norbert are encouraged to grow spiritually together with RISE Men’s Online 30-Day Challenge. In addition to discussing faith and virtue, the school puts the Catholic faith into practice. St. Norbert is the first elementary school in the diocese to be equipped with 315 solar panels on top of the gymnasium and two main buildings that house the office, library, and classrooms. This change allows the school to act on Pope Francis’ encyclical on the environment, calling for urgent action to protect the Earth. “We are humbled to be able to take steps to be more conscious of our impact on the world and to take steps that don’t negatively affect the environment,” Principal Ciccoianni says. 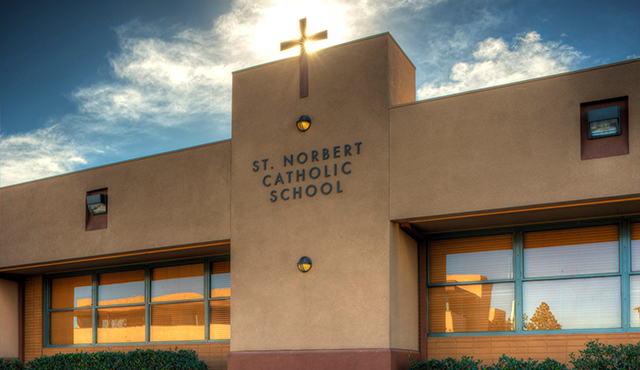 St. Norbert Catholic School is an accredited Pre-K-8th Grade Catholic School. The school is a community of families rooted in faith and committed to promoting academic excellence, nurturing faith, and inspiring action based on the person and message of Jesus. In the context of a caring, worshiping parish community, the school’s endeavor is to empower students to be educated, morally responsible citizens, dedicated to God’s word, to worship, and to service. To reach the school, please call 714-637-6822, visit its website http://saintnorbertschool.org, and connect on social media. Project based learning is an important component of the curriculum taught at La Purisima. Students have the opportunity to learn by developing projects that partner with what is taught in the classroom. This allows students to have a better grasp of the concepts they are taught. The annual science fair is an excellent example of this. Students spend weeks creating inventions or working on experiments. They then present their findings to the rest of the school community. 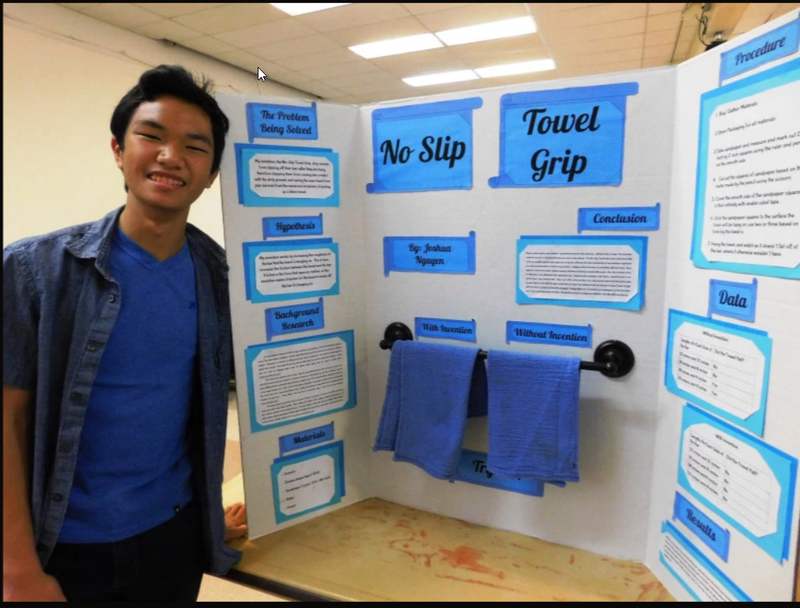 Inventions this year included things like a reusable luffa soap, the doggie wash and the no slip towel grip. Experiments tackled the solar system and nuclear particles. Students focus both on the findings and on the process as they expand their understanding on the Scientific Method. 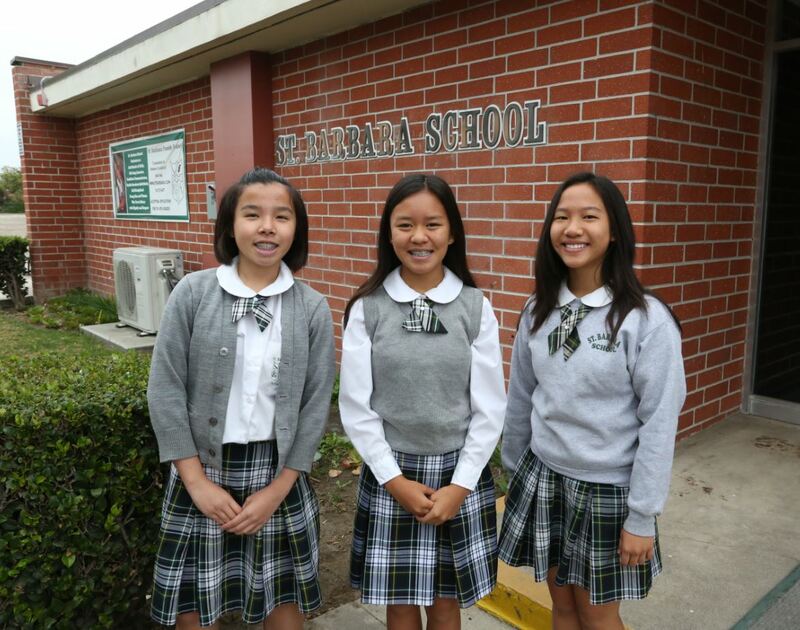 The School of the Month for April is St. Cecilia Catholic School in Tustin. On March 3, 2018, St. Cecilia’s Academic Decathlon Team competed against sixteen other Diocese of Orange schools to earn four team awards as well as four individual subject medals. 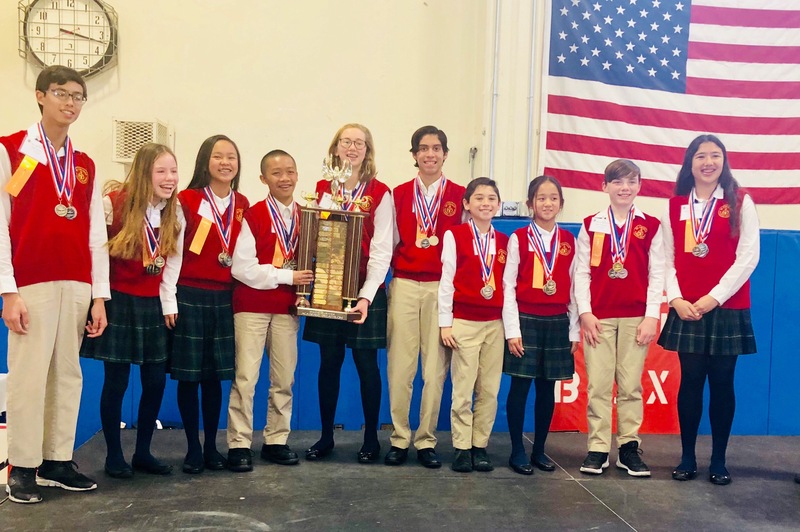 With a total student population of 309, St. Cecilia has competed consistently in this annual competition over the past decade, collecting numerous team and individual recognitions. This year was no different with the team earning first place in the Small Schools category for the third year in a row. Additionally, this year’s team received first place in the team Logic competition, third place in Super Quiz, and second place overall. While they exceled as a team, the students also performed strongly in their individual subjects, taking home second place medals in Religion and Social Studies as well as third place medals in English and Literature. Through the intensive months of practice, team members put into practice the study skills and time management techniques introduced in the classroom. Embracing the school’s motto of More Than School, they learn to effectively balance their daily academics, involvement in athletics, participation in FIRST LEGO League, requisite community service as members of the National Junior Honor Society (NJHS), and leadership roles on student council. This dedication in the pursuit toward excellence lays a stable foundation for success as they move forward in their academic careers. Educating students from K3 through 8th Grade, St. Cecilia places emphasis on developing foundational skills in math and English language arts with cross-curricular learning in religion, social studies, and STEAM. With a firm belief in the formation of a holistic individual, St. Cecilia also offers opportunities for leadership and growth outside the classroom with spiritual retreats for every grade level from K5 through 8th Grade, a competitive art program, vocal and instrumental music, a student-run technical support team, and many more activities for varied interests. For more information on St. Cecilia School, please contact Adina Braatz at abraatz@stceciliak8.org or call the school at (714) 544-5133 to schedule a tour. The School of the Month for March is St. Irenaeus Parish School in Cypress. At St. Irenaeus faith extends beyond the four walls of the classroom and it starts with staff and faculty. During the school week, teachers speak of Jesus’ love and care for those in need. On the weekend, they take the concept of, “practice what you preach” to a whole new level as they engage in multiple activities to help their community. Coach Flores is one of many examples of the commitment to service from the St. Irenaeus teaching community. This year, Coach Flores will be running the LA Marathon for a special cause. He is running to raise money for the Special Olympics Southern California as well as St. Irenaeus School. The fundraising effort will help enrich the lives of athletes with intellectual disabilities. Coach has gathered the support of family, friends, and the entire school community to help him achieve his mission of helping those in need. To find out more about St. Irenaeus visit https://www.StISchoolCypress.org or call (714) 827-4500 to schedule a tour. The School of The Month for February is St. Bonaventure School in Huntington Beach. The School of The Month for January is St. Pius V. Parish School in Buena Park. Every day, the faculty and students at St. Pius V. Catholic School realize that it is a blessing to be in a Catholic school but it is especially evident during the Advent and Christmas seasons, as they are reminded to “Prepare the way of the Lord.” At this time of year, they are reminded of the need to “make every mountain low” by searching their hearts and minds for the things that make them feel above others – sins like jealousy, greed, dishonesty – and confess them to the priests and experience the amazing gift of reconciliation with God and their community. It is also a time that they “raise the valleys” – a time that they lift up those in need. As a school community, they do this in many ways but, most importantly, they do this by giving. During the month of December, St. Pius V. Parish School participated in several community drives. This year, the school donated over 200 toys to “Giving Children Hope”, a non-profit organization, located in Buena Park, which works with vulnerable children and families. Over 50 bags of food were donated to the St. Vincent DePaul Society to help feed the hungry in our community. Additionally, St. Pius V. families donated over 800 pounds of shoes to the Knights of Columbus Shoe Drive. The money from this shoe drive was used to provide a free shopping trip for Buena Park children in need. The TK and Kindergarten classes host a special service project called “Get a Smile, Give a Smile”, in support of Smile Train, a non-profit organization that provides free cleft lip and palate surgery to children in over 80 developing countries. Although the goal was to help three children, thanks to this project, St. Pius V. Parish School was able to raise enough money to help 11 children. 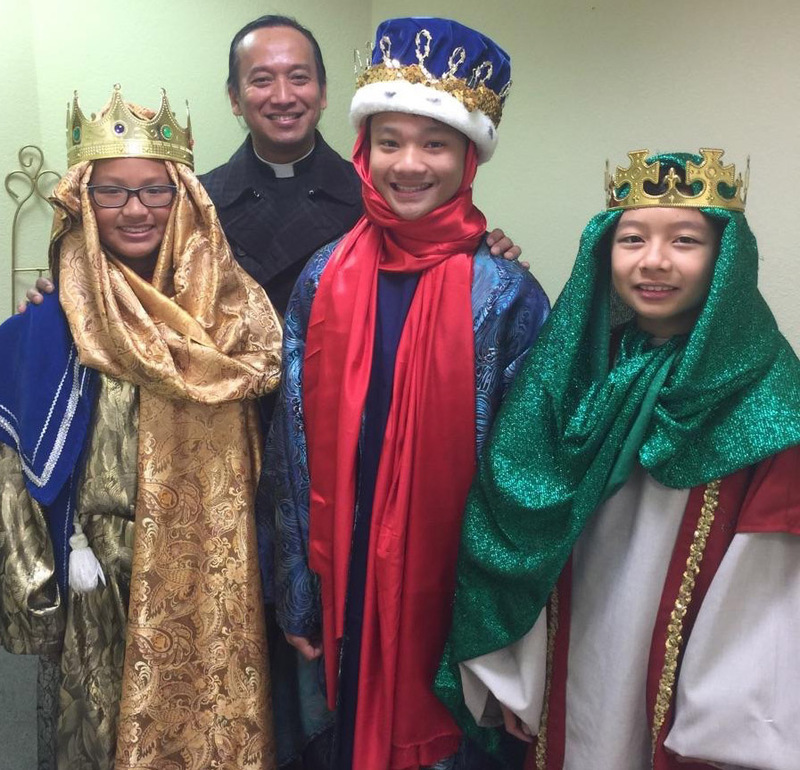 Finally, to spread the love and joy of this Christmas season with their families and parishioners, all of their students share the wonder of the Christmas story through an original play, filled with Advent and Christmas music. To see what makes St. Pius V. Parish School such a wonderful, loving community, visit their website to schedule a tour.